We never really need an excuse to shop one of our fave vintage stores, but when our very own EIC is hosting, we can't say no. Christene will be on hand at Brooklyn's thrifty mainstay Mafalda tonight, feting the shop's last summer bash before they change locations later this year. 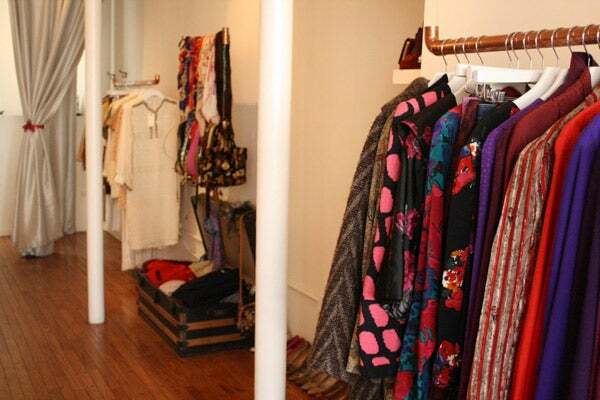 She'll be joined by Mafalda's owner, the ever-fashionable Christina Kolbe, and Taylor Thomas of Parlor Showroom. Come on down to browse the vintage couture collection while you sip on cocktails — and don't be afraid to ask for fashion advice! When: Tuesday, July 31, from 7 to 10 p.m.
Where: Mafalda, 360 Atlantic Avenue (between Hoyt and Bond streets); Brooklyn; 347-987-3470.